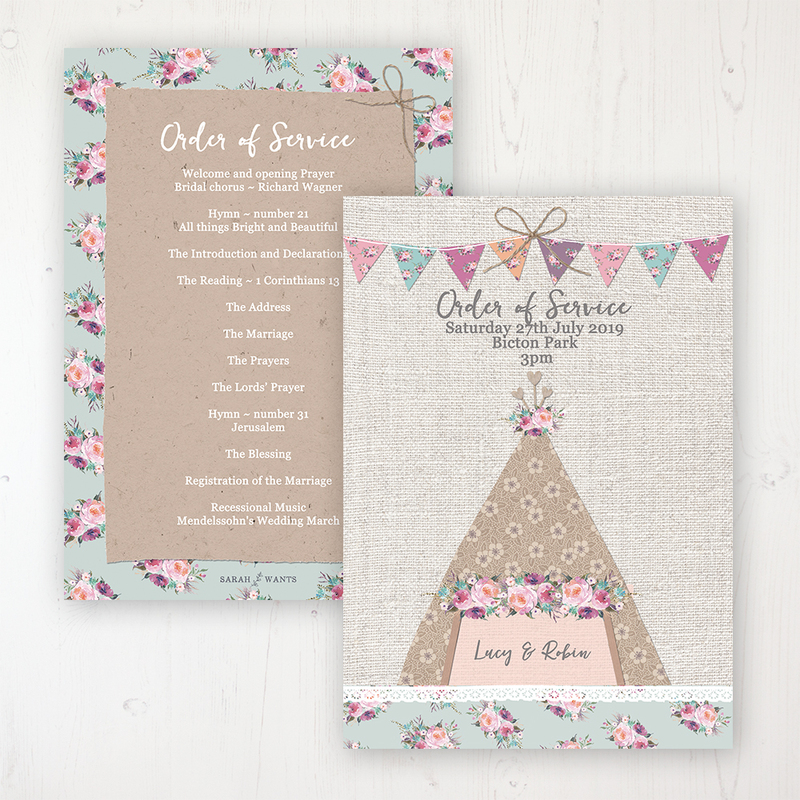 The magical romance of a tipi wedding, decorated with colourful flowers and bunting. 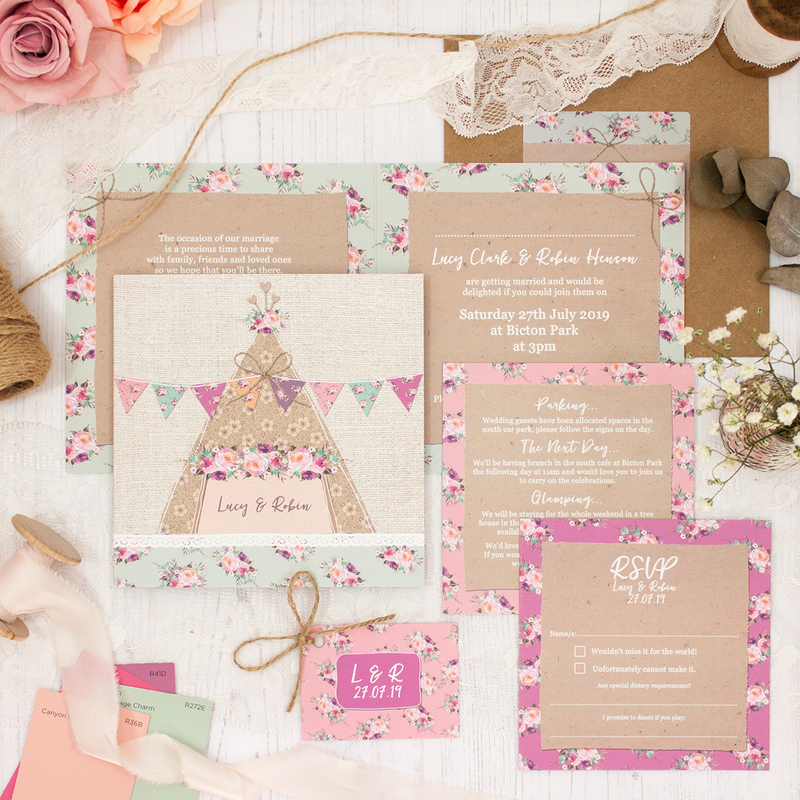 Perfect for couples that want to create a laid-back boho, festival feel on their wedding day. The date is set, you’ve booked your venue and now it’s time to invite some guests! 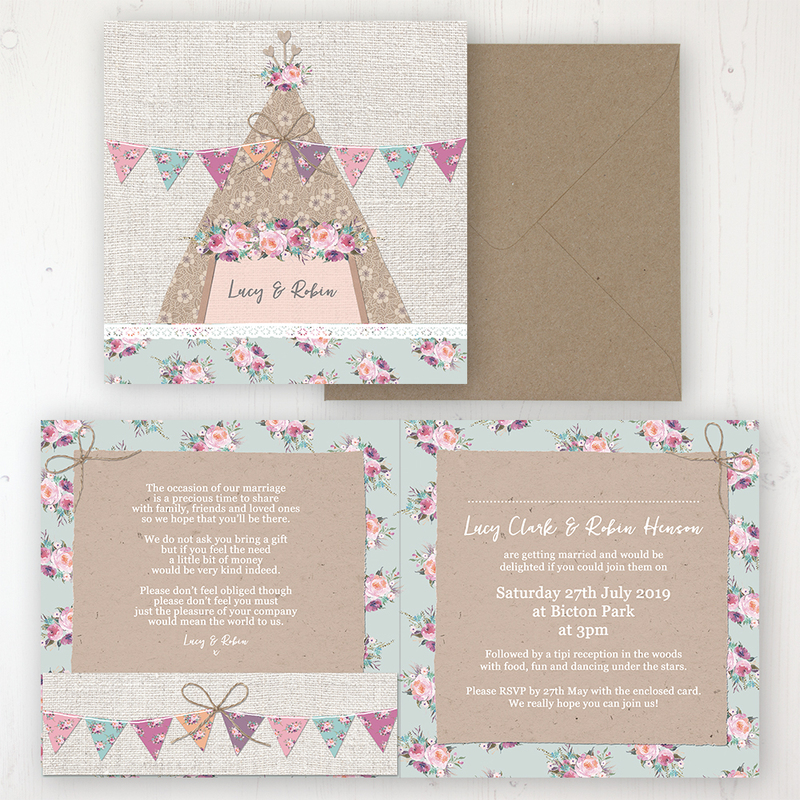 Do this with 148mm square invites printed on luxury 320gsm textured card. 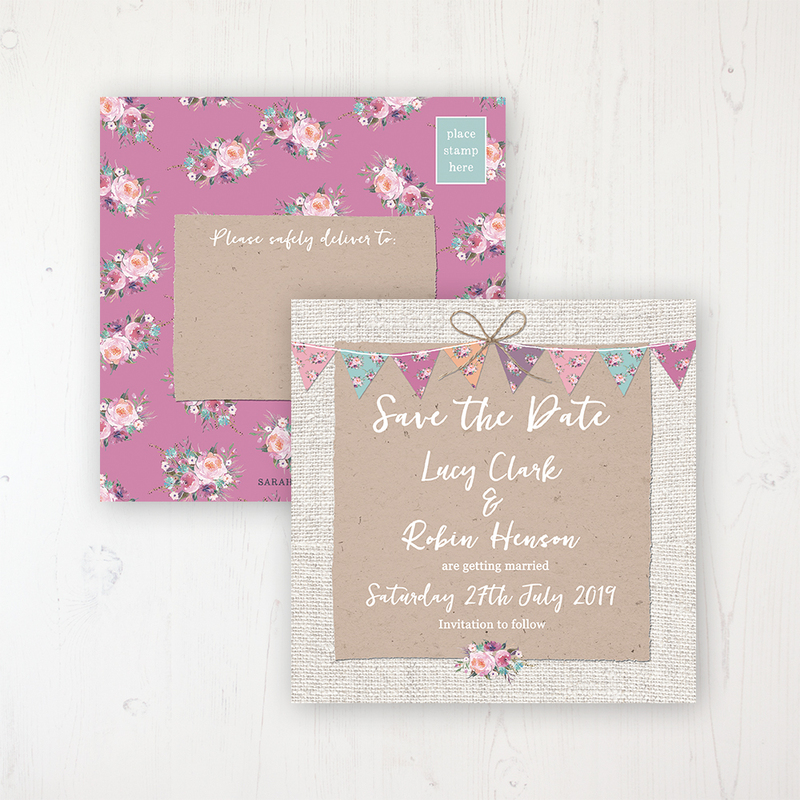 These are personalised with a font of your choice and supplied with recycled, gummed envelopes. 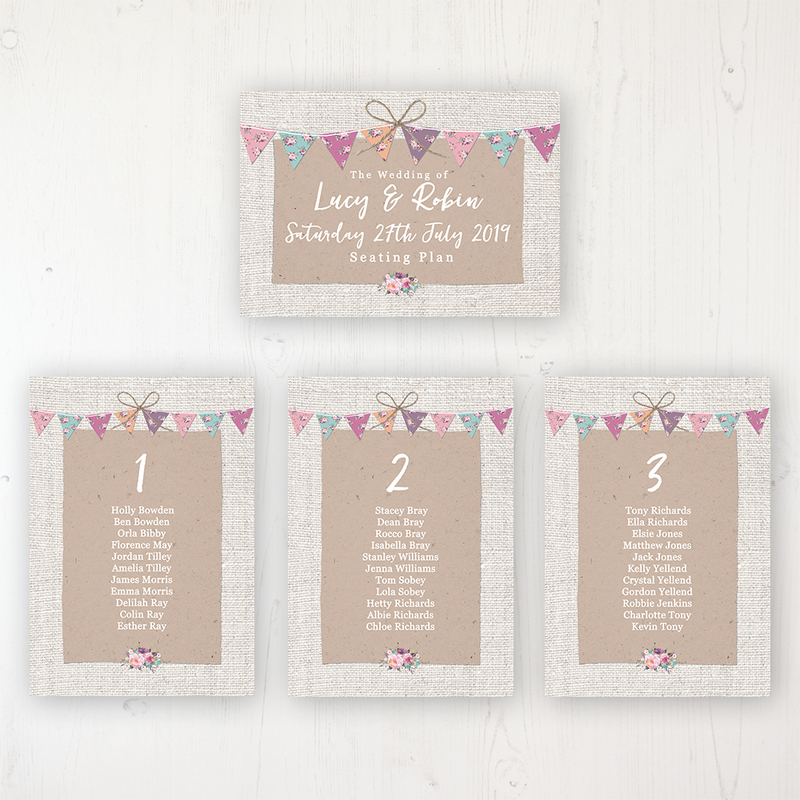 This option consists of your chosen design on the front and personalised with your wedding details on the reverse. 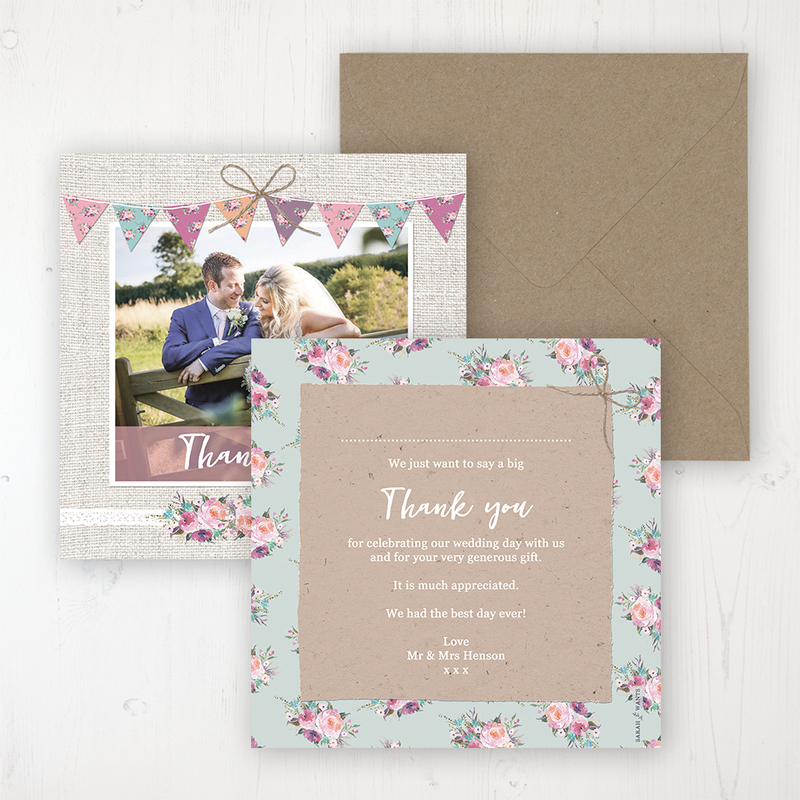 This option consists of your chosen design on the front and personalised with your wedding details printed on the inside right of the card. 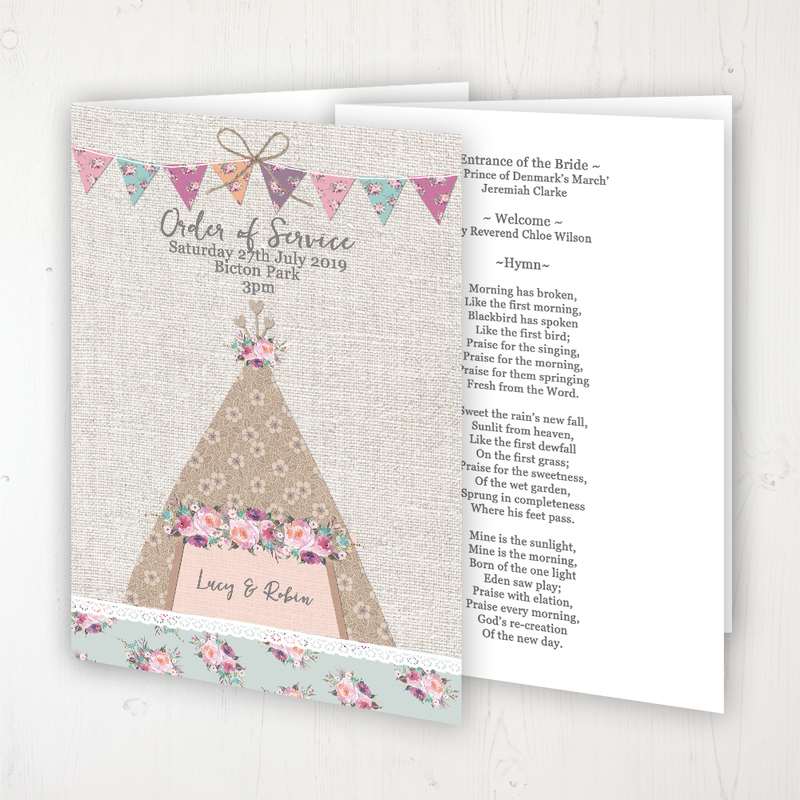 There is additional space on the inside left which can be used for extra information or gift poem etc (approximately 120 words). 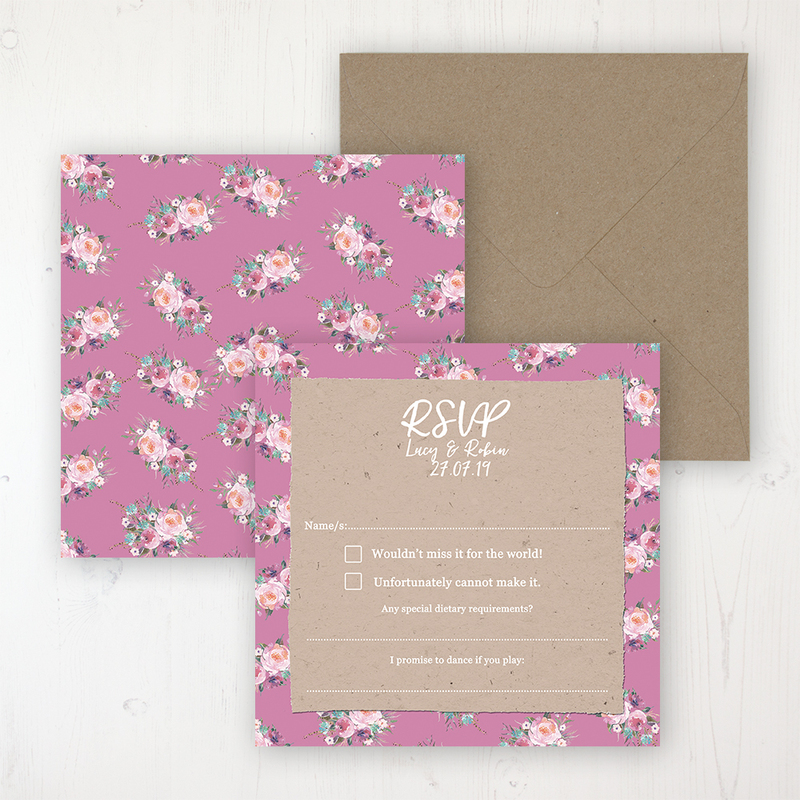 Add an RSVP card to your invites to allow guests to reply quickly and easily. 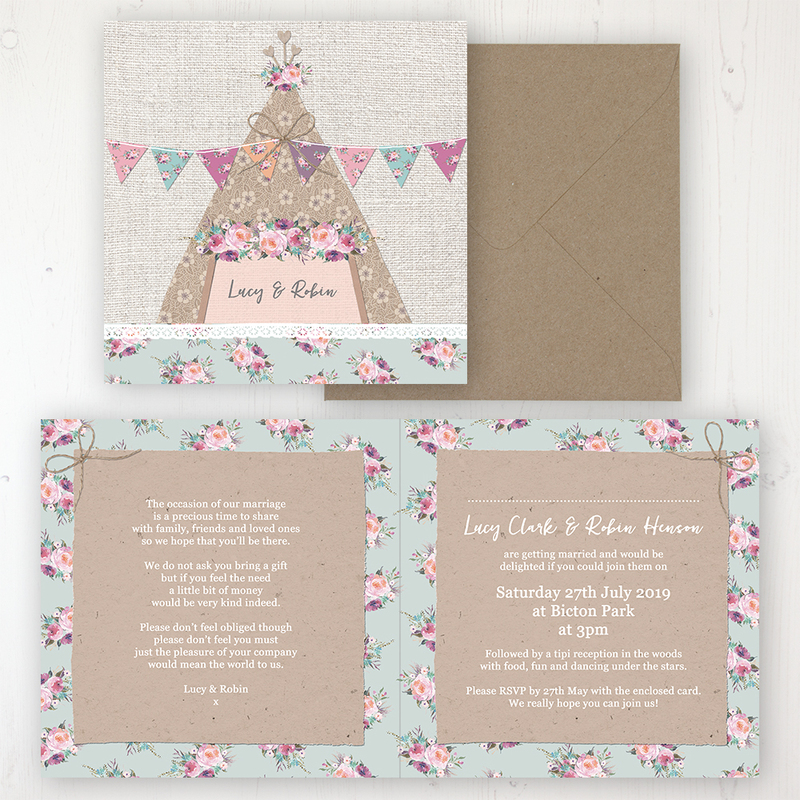 Supplied as 120mm square RSVP’s, printed on luxury 320gsm textured card. With ‘RSVP’ and your names and wedding date printed at the top. Below is a space for guests to write in their names and tick their response and add anything else such as dietary requirements or song request etc. 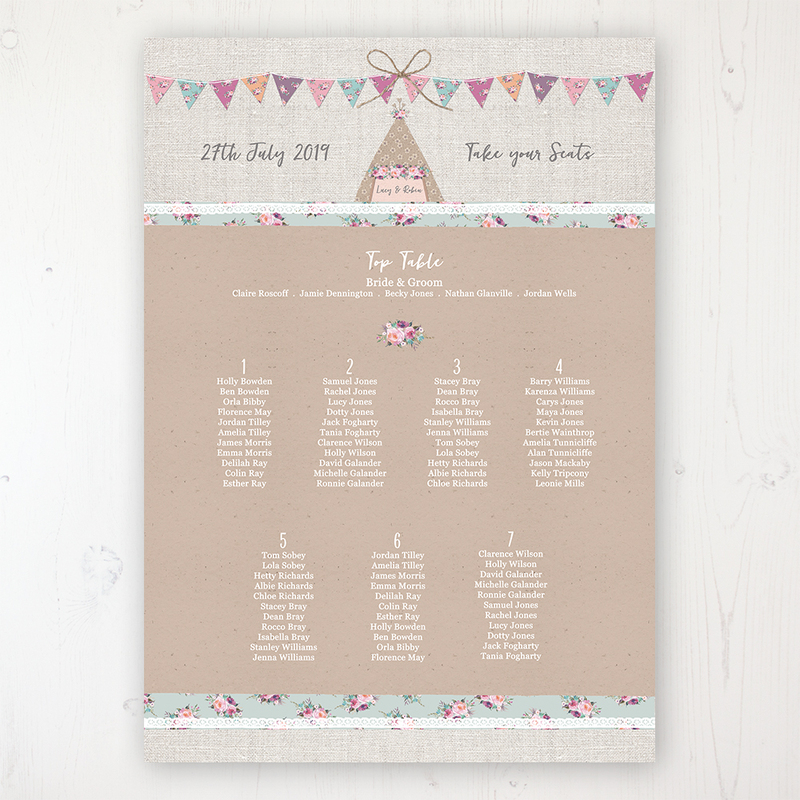 The reverse will be printed with your RSVP address including a space for your guests (or you) to add a postage stamp. As above but without postcard format on reverse, and including a 125mm recycled, gummed blank envelope. 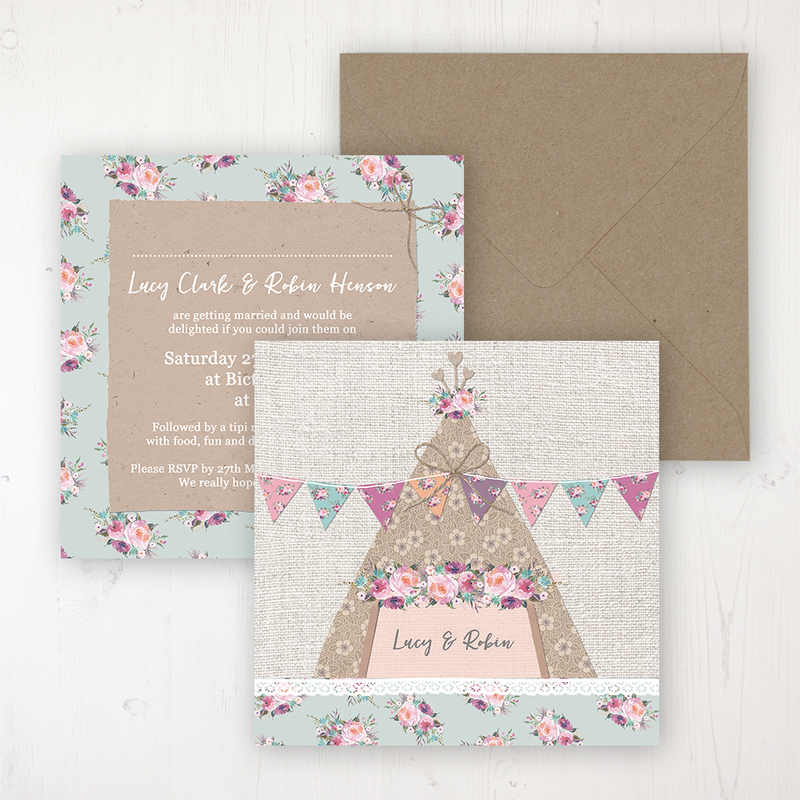 We’ll add the RSVP address to the card for guests to copy onto the front of the envelope before posting. 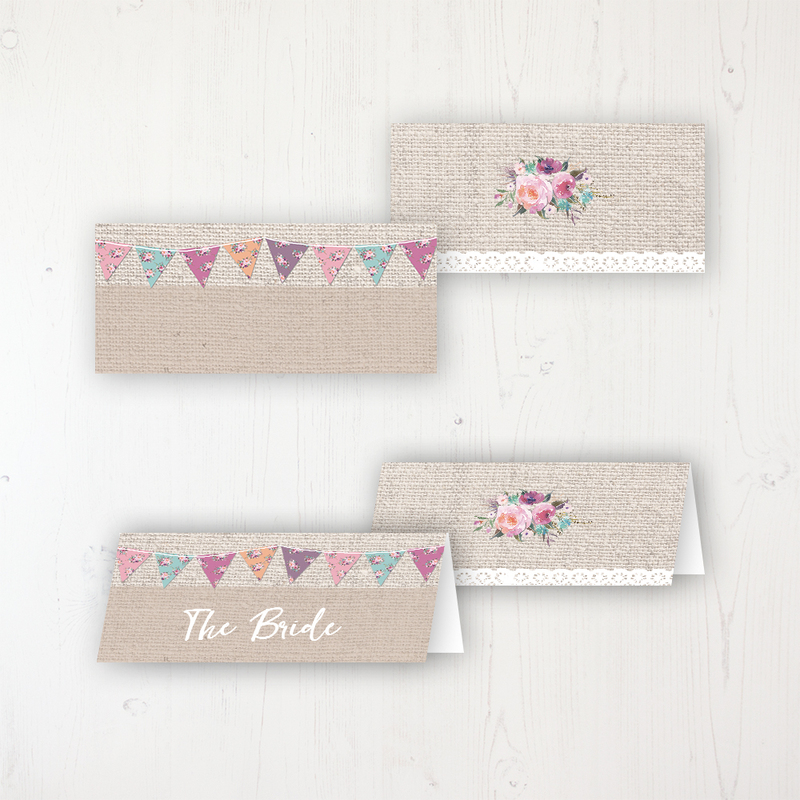 As above but with the RSVP address printed onto adhesive labels to stick onto the front of the envelopes. Labels will be provided on a sheet for you to stick into place. 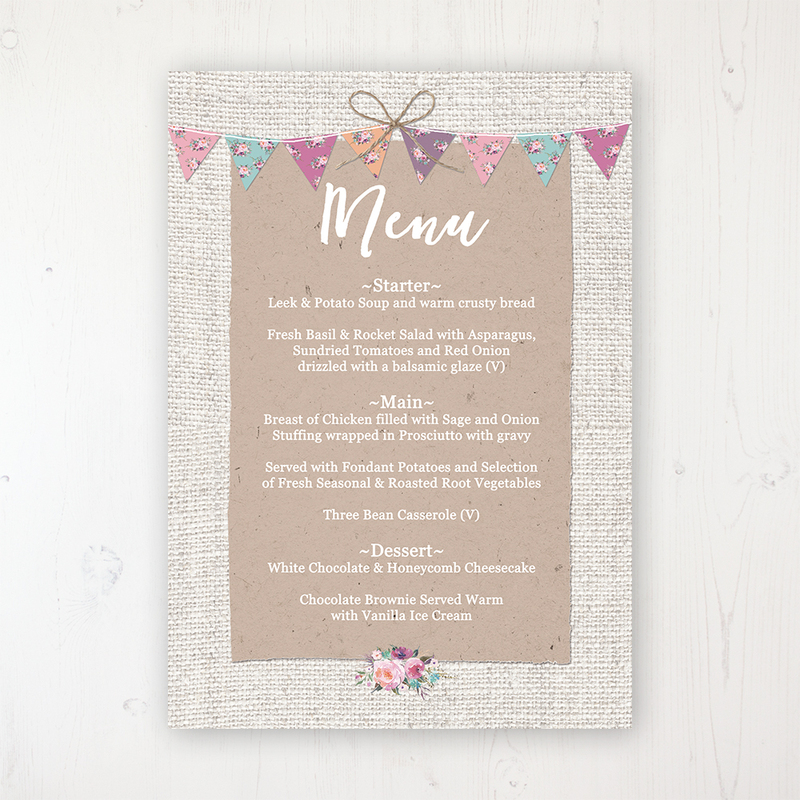 Please note: If you have menu options, these can be added to the reverse of the RSVP, but you will need to select one of the ‘RSVP with envelope’ options. Please get in touch with your menu options before placing an order so I can confirm they will fit. Anything else that you wish to put on the front of the RSVP, subject to the limits of what will fit on the card, can be specified when your wording information is requested. 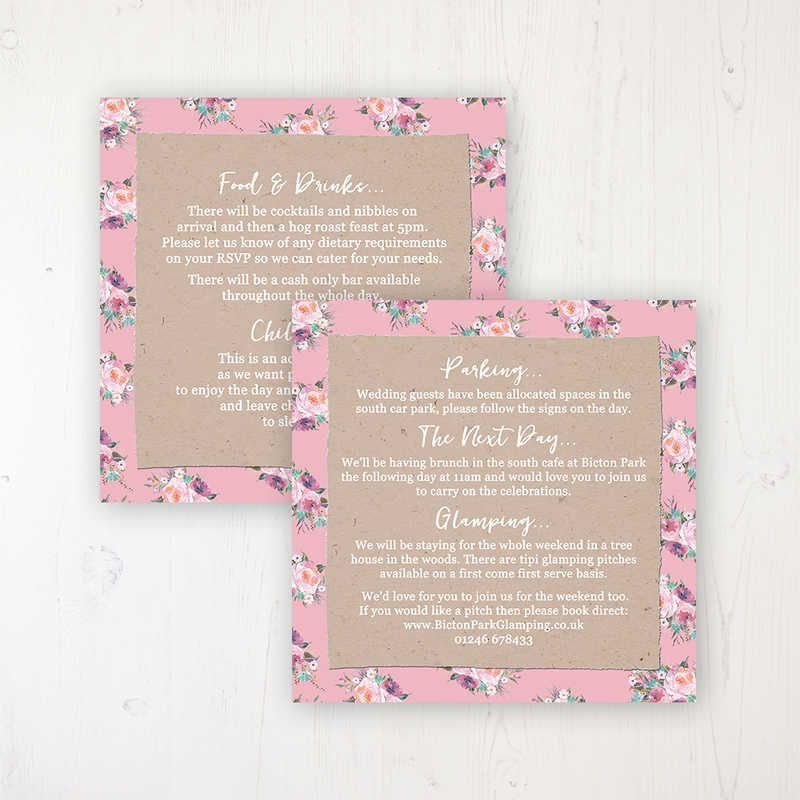 120mm square, printed on luxury 320gsm card with space for approximately 120 words per side. This can include extra information such as directions, accommodation options, gift details, taxi numbers etc. 75 x 55mm tags with your initials and wedding date and a hole punched in the top left corner. 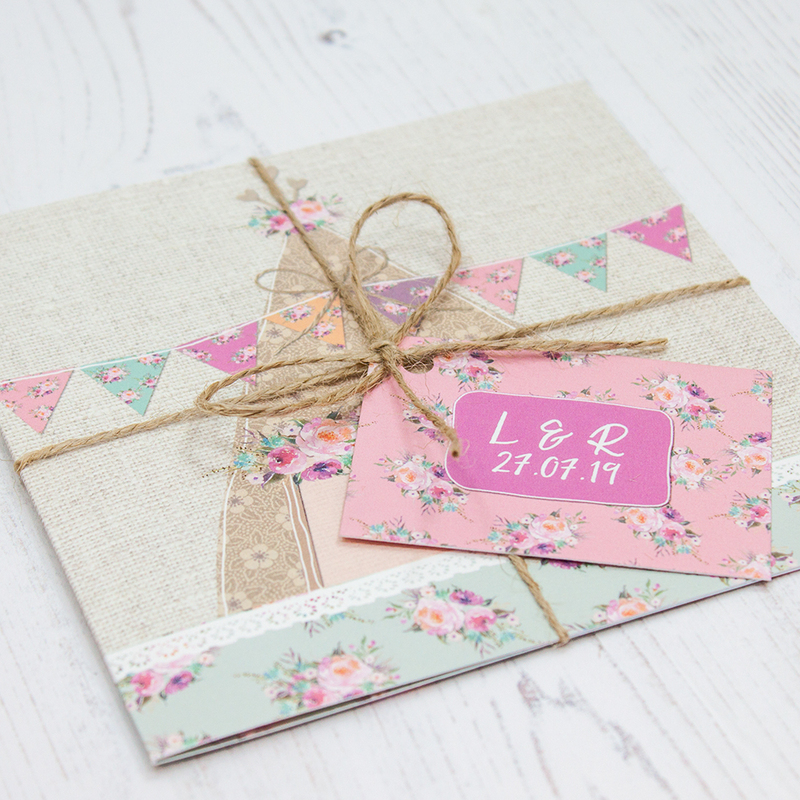 Provided with rustic string for you to tie around the outside of your invitations with a pretty little bow for that extra special touch. Please note: the string will arrive in 1 continuous length which you will need to cut to 90cm lengths to tie around each of your invites. 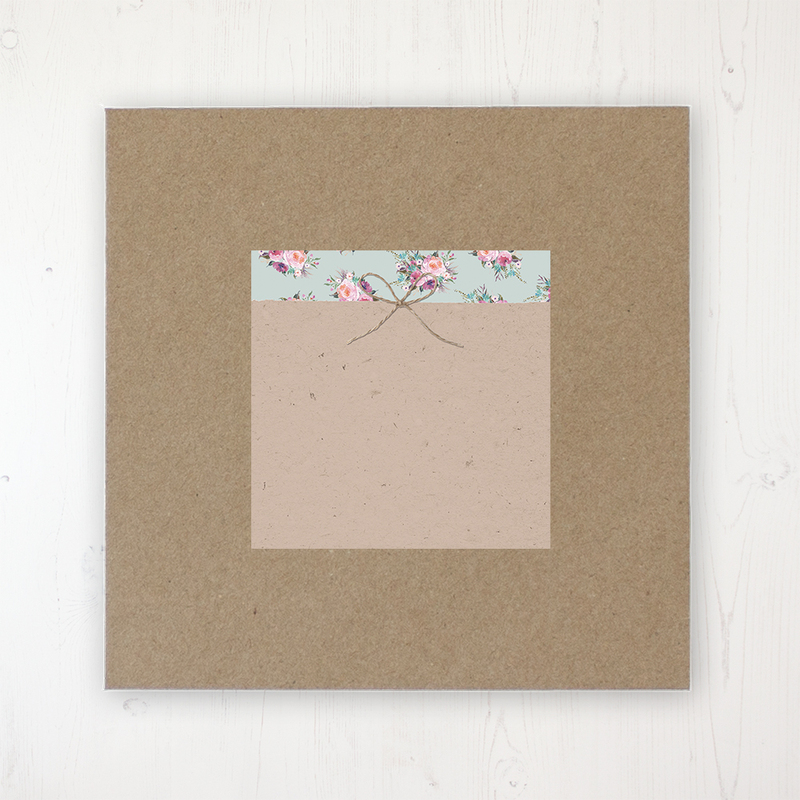 Add a pocket to the inside left of a folded card for that extra detail. This is only an optional accessory (but not essential) if you are including RSVP and info cards, as they can tuck inside on the left nicely. Please note: a maximum of 3 cards will fit in a pocket. 80mm adhesive envelope label that matches the collection. These are supplied blank to handwrite your own name and addresses, or you can choose to have the addresses pre-printed by us. If you would like labels to be pre-printed, you will need to provide the addresses on a template which can be downloaded here. Please note: envelope labels will arrive flat on sheets of 6 and you will need to peel and stick them to the envelopes. 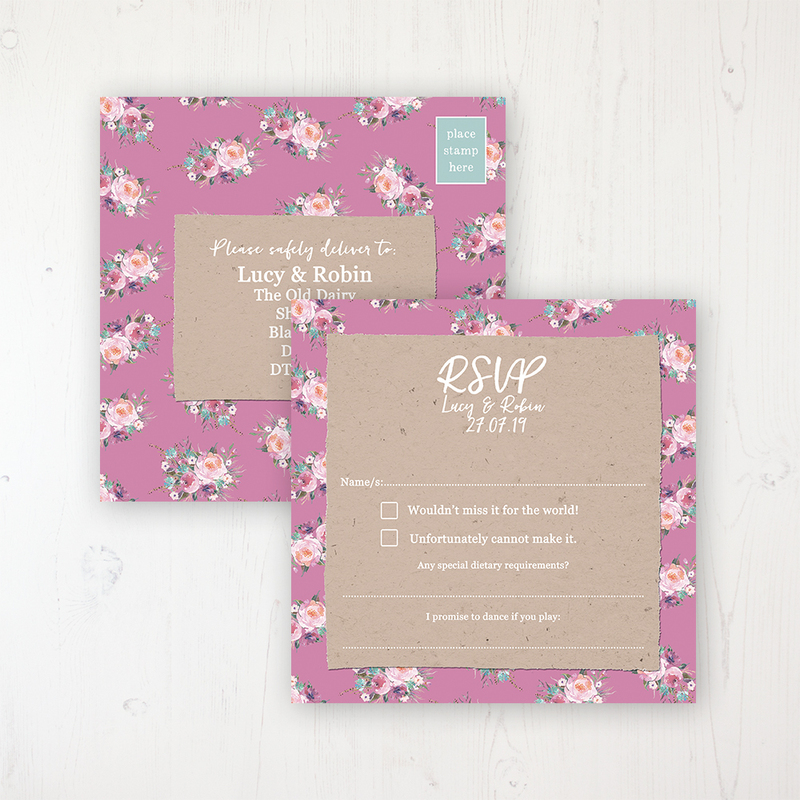 If you want your invite envelope labels pre-printed with your guest addresses you can choose that here. To supply us with your guest addresses for printing on envelope labels, please download our template here. After you have completed it, please upload it below. If you don't know them yet, you can email us the template later.